Below are the most viewed images (numbers 10-6) from our online images database (http://images.is.ed.ac.uk). Check back in to tomorrow to see numbers 5-1! 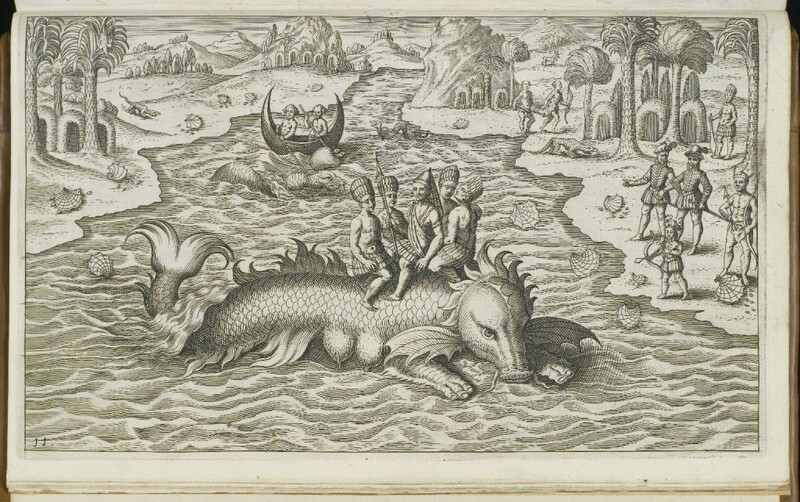 From the Nova Typis Transacta Navigatio Novi Orbis Indiæ Occidentalis, a fictionalised account of Benedictine missionaries which contains extraordinary engravings of mythical creatures, cannibalism and barbarity alongside authentic details of local customs, flora and fauna. 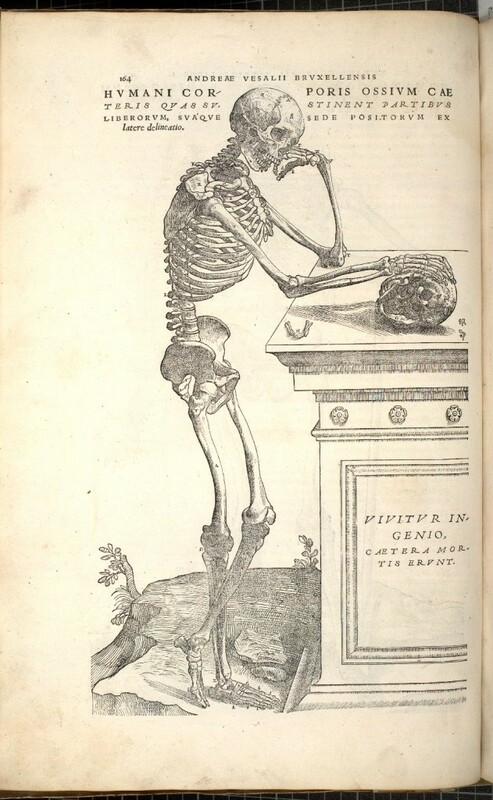 “A delineation from the side, of the Bones of the Human Body freed from the rest of the parts which they support, and placed in position.” From anatomist Andreas Vesalius’ De humani corporis fabrica. 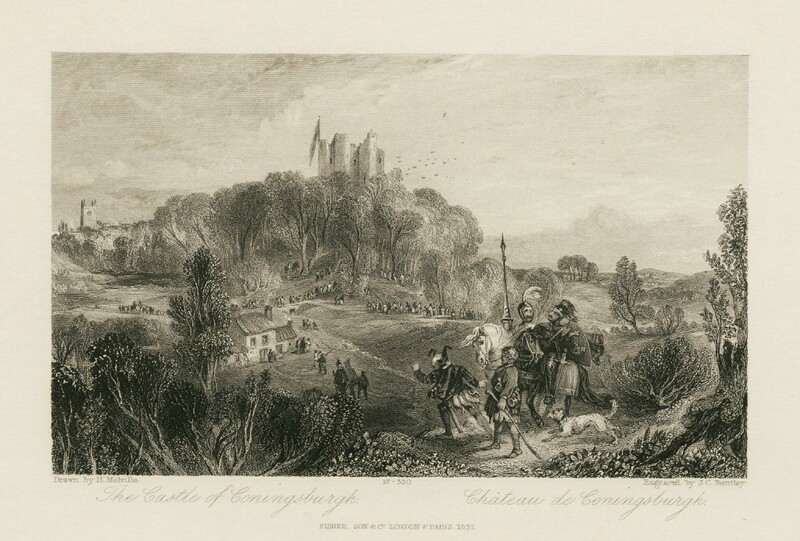 Steel engraving by J.C. Bentley showing King Richard, Ivanhoe, Gurth and Wamba arriving at the castle of Coningsburgh for Athelstane’s funeral. 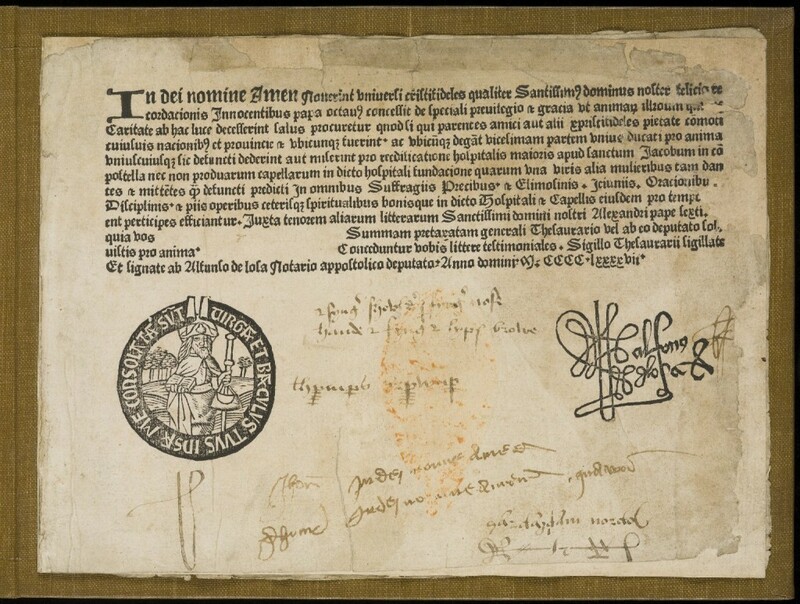 Printed by Wynken de Worde, a prolific early printer in England, this indulgence was issues by the papacy as a means of raising money for the pilgrim shrine of St James, Compostella in Spain. 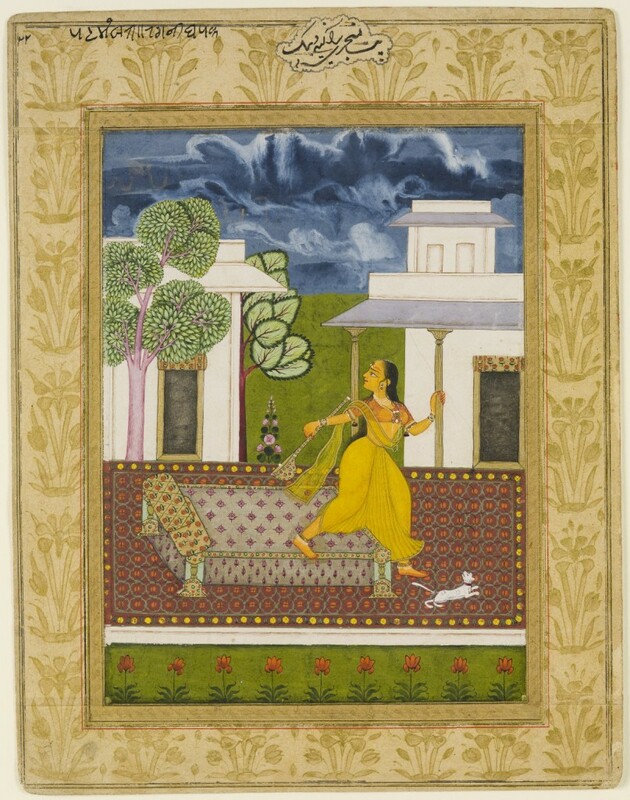 Detail of a Ragamala miniature entitled ‘Patamanjari ragini of Dipaka’, which depicts a young woman rushing to her house to escape the monsoon thunder and lightning.